Famous linguist Dr. Debi Prasanna Pattanayak’s new book ‘Language and Cultural Diversity’ has made a hit with bibliophiles. 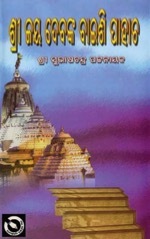 It was released on 17 September 2014 by the Chief Minister of Orissa, Naveen Patnaik, who lauded Dr. Pattanayak’s constant emphasis on initiation of education to children in their mother tongue as that only improves children’s self confidence and leads to internal educational efficiency. 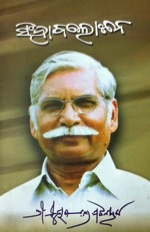 Dr. Pattanayak, already decorated with Padmashree, has been recommended by the State Government for Padma Bhusan award this year. 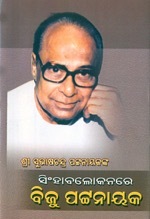 Son of famous freedom fighter Madhu Sudan Pattanayak, he belongs by birth to Tigiria, the famous former Princely State where the scripture of what is now known as Odissi Dance – Abhinaya Darpana Prakash – as well as India’s one of the only two noted scriptures on warfare – Veera Sarvaswa – were authored. 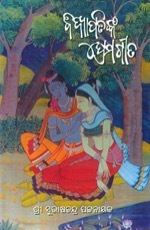 The palm leaf manuscripts of both the scriptures are now in Visva Bharati University at Shantiniketan of West Bengal, along with hundreds of palm leaf manuscripts written by Tigiria’s people of literary excellence in the bygone princely days, which, Dr. Pattanayak had taken from the Tigiria Palace to enrich the famous Central University with its first library of ancient manuscripts. 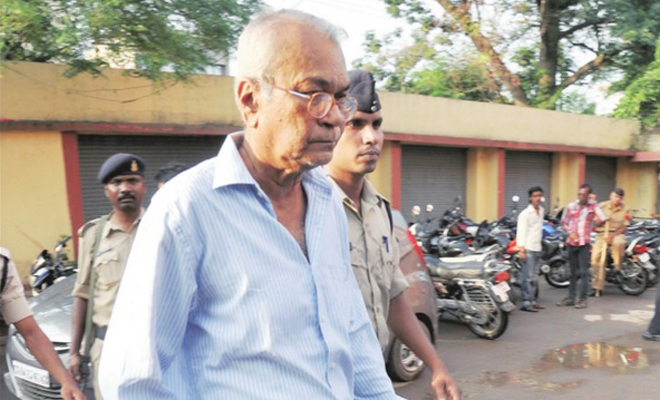 Veteran journalist Pafulla Jha who headed the Chhattisgarh State Bureau of Dainik Bhaskar, was arrested on January 22, 2008 under charges of ‘sedition’, which in police parlance stands for sympathy for the Naxals. He was sentenced to 7 years that he spent in the jail with his head high, though that imperiled the economy of his family. His son was also jailed as his collaborator in the crime of ‘waging war against the nation’ and his daughter had to give up her Ph.D. midway in dire straits. Yet, journalistic mana that manifests only in being the voice of the voiceless stayed his forte as he suffered helplessly behind the bars, with fellow journalists too pusillanimous to raise a collective voice against tha police, that had confessed that Jha was no danger as a Maoists, but claimed that he was booked as such to “teach others a lesson”. His only noted offense was his alleged contributions to Maoist literature, when admittedly; he had done some translations from a special edition of the Economic and Political Weekly on Nepal Maoists. In the annals of suffering of scribes for betterment of the society, Jha shall remain an epitome of working class consciousness, which, for all time to come, shall continue to inspire every journalist who shall have the affinity to journalistic concern for the working class. Welcome Mr. Jha to your own world of freedom that a tyrant State can never keep suppressed for all time to come. Even as rich media is rendering Indian democracy poor, the Supreme Court of India has asked for a regulatory authority on visual media, because it feels, display of a dead body from morning to night was irksome. “Have you ever seen foreign channels showing dead bodies?” Justice Sudhansu Jyoti Mukhopadhaya asked on Thursday. Even after the 9/11 attacks in New York not one dead body was shown on the visual media including the recent beheading of the American and British journalists, he observed while the bench comprising him and Justice Prafulla Chandra Pant wanted Additional Solicitor General P.S.Patwalia to get back to it on the suggested regulatory body within a period of four weeks (IANS). The regulatory body thus mooted by the Apex Court should be an effective body and not like the Press Council of India. (Ibid). This puts us to a situation of confusion. When the Press Council was created by a law framed by the Parliament, collective legislative wisdom had deliberately denied it punitive powers, keeping in mind the sense of responsibility that the Press must be inherently possessing. Till now, in adjudicating the complaints against and by the Press for violation of ethics and for violation of the freedom of the Press, the purpose for which the PCI is created, it has not done anything wrong and its orders are not seen violated and/or dishonored by any in the country. Was the collective wisdom wrong? So, by requiring a separate regulatory body, which should be an effective body and not like the PCI, is the Supreme Court not conveying us that the collective legislative wisdom behind the Press Council Act 1978 in the aftermath of Emergency that had curtailed the freedom of Press, was a misguided, misconceived wisdom of the Parliament? True, the PCI, by virtue of its scope under the Act, has no direct jurisdiction over television media, as by 1978, the country had no experience with TV journalism. Yet, I must say, television comes within the purview of its extended jurisdiction; because, even though it is created for “maintaining and improving the standards of newspapers and news agencies in India”, the PCI is created for “the purpose of preserving the freedom of the Press”. And, to fulfill this purpose, the Act has given it the entitlement to take steps to encourage the growth of a sense of responsibility and public service among all those engaged in the profession of journalism, under Sec. 13 (2) (d) of the Act. And, electronic media, including television media belong to “profession of journalism”. So, the PCI has its jurisdiction on television journalism. On the other hand, ‘Norms of Journalistic Conduct’ laid down under the PCI Regulations also address to the television journalists. In matter of Photo Journalism to which television belongs, it has been said that the “Pictures should not reflect anything that is obscene, vulgar or offensive to good public taste” (point 6 under the head of do’s). Displaying dead bodies is discouraged by saying, “do not show mangled corpses or such other images as cause revulsion or terror” (point 3 under the heading of don’ts). As such, the revulsive display of the dead body all through the day that made Justice Mukhopadhya say, “I can’t read my SLP with TV on”, is also subjected to the Norms of Journalistic Conduct’ formulated and promulgated by PCI. Therefore another regulating body for electronic visual media with prosecuting powers will not only subject the Press to multifarious Laws, but also affect the scheme of the Press Council evolved out of Press Commission recommendations and Parliamentary wisdom. We are worried because, the urge for creation of a regulatory body for electronic visual media has come only from revulsion generated by a day long display of a dead body, but not from any reaction to deadly blows television journalism has given to Indian democracy. As in Atal Behari Vajpayee’s scheme for fetching votes in 2004, so also in Narendra Modi’s scheme of acquiring power in 2014, the electronic visual media has prostituted journalism. The same TV journalists who were spearheading the campaign for BJP in 2004 were also the forefront players in the misleading game for BJP in 2014. If any law may be proposed to help the country get rid of harmful mischief of electronic visual journalism, it is essential to first find out how 2014 role of TV journalists like Arnav Goswami had the same genre of journalism used by BJP in 2004. When the 2004 experience had forced us to write “Free Press? Think Afresh” , Mr. Sekhar Gupta, in a signed article in Indian Express on May 8, 2004 had to confess, “This election was fought more in the media than in the streets” with television being “the new electoral battleground”. 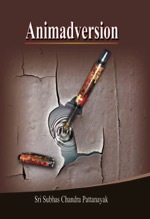 So, if the electronic visual media is to be tamed to serve Indian democracy, it is necessary for the country to go to the root of media anarchy generated by mainstream television journalists during elections -2004 and elections – 2014 and from the premise of such determination, to think about how to bring in a change. It would be better, therefore, for the Supreme Court to appoint a Judicial Commission of Inquiry or create a separate bench of its own for the specific purpose of determining the politico-mafia connection of television journalism practiced by those who project themselves as national channels in context of General Elections in last two decades, particularly in 2004 and 2014 and then to promote the idea of a separate effective body for regulating visual media. Otherwise, the exercise may turn into barren wordy acrobatics, with nobody to care a tinker damn for the same. Unless the visual media is salvaged from the rich and the mafia, no law to be framed can make it tamed. And, unless ceiling on private property is enforced, there shall be no last limit for acquiring wealth by any means. If accumulation of limitless wealth is not legally stopped, no law can, in reality, stop electronic visual media, owned and controlled by the wealthy, from playing any havoc they want to keep the general public acquiesced into what they design, as that only ensures transformation of their status as free citizens to subjects of the lords of plutocracy. The country is saturated with Acts and Rules. And the citizens are drowned in the labyrinth they create. Before getting another Act framed in the area of Press, the background of anarchic conduct of electronic visual media should first be studied in depth. We have to first get the answer to why the television media is so irresponsibly working. Without diagnosis, treatment may be more harmful. Subhas Chandra Pattanayak Cuttack MP, Bhartruhari Mahtab belongs to BJD, the party of sycophants, known loudmouths of which are now in fidgets over chit fund cheating. To them the CBI enquiry portends incurable political debacle. 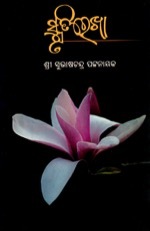 When alter ego of the BJD government – Advocate General Asok Mohanty, incumbent till summoned by CBI in chit fund scam matter – is in jail custody pending trial due to location of his dubious deal with Chit Fund fraudster Pradeep Sethy, it is Mahtab who has used TV channels to instigate the people against Mohanty’s arrest. 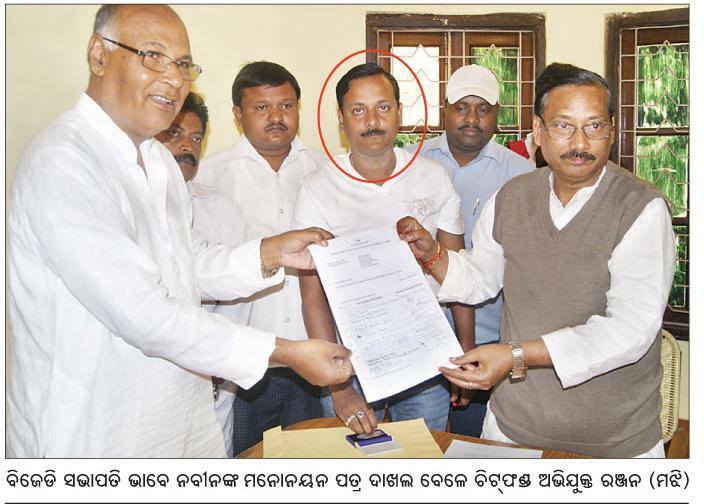 He claims that Mohanty is too honest to be investigated into, according to his personal knowledge about Mohanty. His personal knowledge has no legal standing. 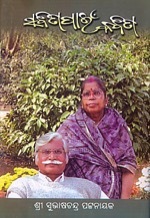 If he appears before the concerned court as a ‘defense-witness’ in support of Mohanty, his assertion may be tested through cross-examination and consequent court verdict. 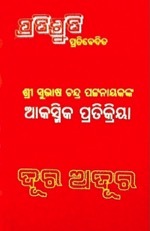 But when Mohanty is in court custody and the court has taken cognizance of his offense, and his remand to CBI having come to the verge of end he is either to be granted bail or sent to the jail, a ruling party MP declaring that Mohanty is honest and the CBI should not have arrested him, is nothing but ruling party’s attempt to demoralize the CBI and to eclipse free and fair application of judicial mind and therefore, contrived to influence the CBI judge.